Last week we travelled to the Beaulieu Motor Museum for the launch of the refreshed World of Top Gear, introduced to reflect the changes on the new-look BBC Top Gear TV show. New exhibits from the world’s biggest motoring show include the Ssangyacht, the longest limousine selfie opportunity ever and a marine feature displaying boat challenge vehicles. Other recognisable cars from the old format still remain such as the legendary indestructible Toyota Hilux. The Enormodrome boasts a brand new studio in keeping with the style of the latest series with its fresh new line-up of presenters – Matt LeBlanc, Chris Harris and Rory Reid. Toyota GT86 – Top Gear’s current Reasonably Fast Car. When you enter the studio you instantly see its star feature – the current Reasonably Fast Car – a stunning red Toyota GT86 – one of the most respected sports cars that you can buy now. Top Gear presenter Chris Harris was at the event and gave an exclusive precision driving demonstration for visitors. We spoke to Chris about the new exhibits and what it was like having the GT86 as the Reasonably Fast Car. Lord Montagu, The Stig and Chris Harris. 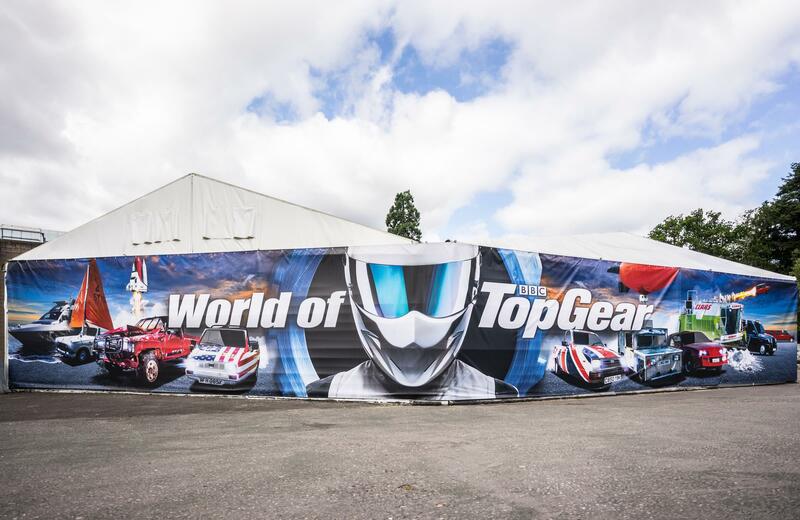 If you would like to visit the World of Top Gear entrance is included in a general admission ticket to Beaulieu which also offers entrance to the National Motor Museum and its collection of more than 250 vehicles. To book tickets or to find out more visit www.beaulieu.co.uk.